2019 marks the 21st Anniversary of the band! Storm through five decades of Rolling Stones hits. With all the swagger of Jagger, this explosive show has been witnessed by audiences all over the UK including festivals, corporate events, weddings and birthdays. 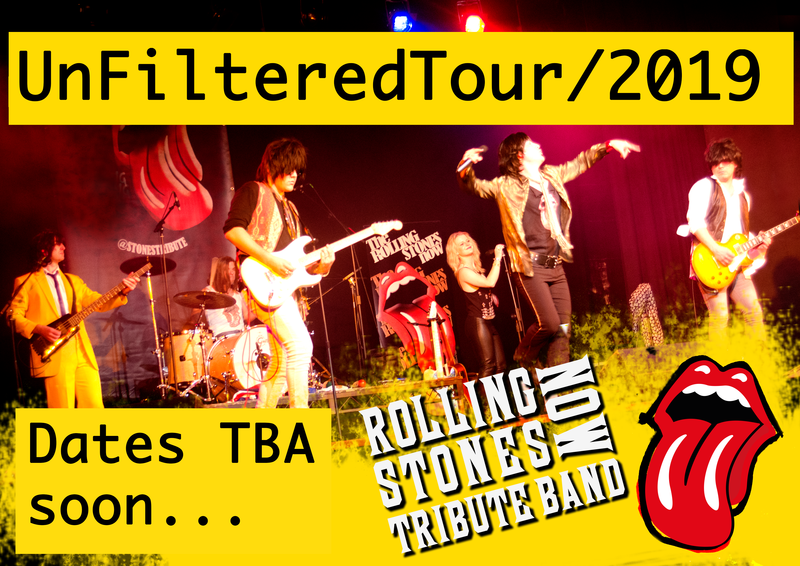 The Rolling Stones Now authentically recreate the look (with exact replica costumes and instruments), sound, energy and atmosphere of the Stones' seminal live gigs, celebrating all that has made them legendary! The Rock 'n' Roll Circus, Free Gig at Hyde Park and the Get Yer Ya Yas Out tour along with live recordings such as Got Live If You Want It and Flashpoint have become the inspiration for the look and sound of the band. 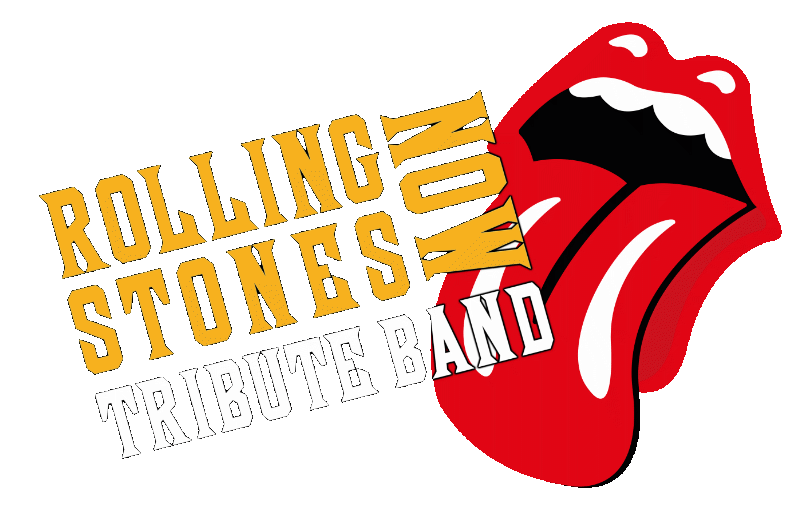 It is a celebration of all that has made the The Rolling Stones legendary. Mick’s pout, Keith’s riffs and Bill’s stony face are all on show as the band play some of the greatest songs ever written including Brown Sugar, Jumpin’ Jack Flash, Paint it Black and Sympathy for the Devil. CONTACT today for guaranteed Satisfaction! Previous clients include The Sun Newspaper, Hilton Worldwide, The Belfry Golf Club, The Bedford River Festival, plus Twickenham’s Rose Room playing with Art Wood, Geno Washington & The Yardbirds. They were the first band ever to play under the arches in Covent Garden, London and in 2005 performed 26 consecutive gigs at the Edinburgh Festival Fringe to critical acclaim. They have also been featured on Chris Evans' BBC Radio 2 programme and FranceTVSport as part of the Olympic celebrations with Jimmy Cliff. David Murrison, Broad Music Festival. 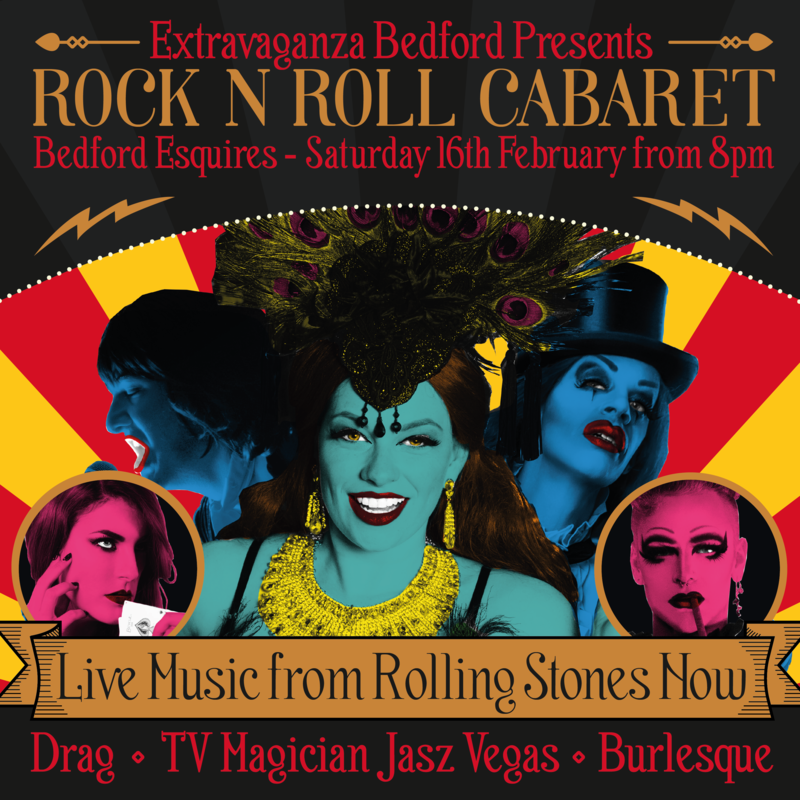 “The Rolling Stones Now provided our guests with a great evening of fantastic live music and entertainment. We had excellent feedback from our guests and would not hesitate to book again”. Hazzard Promotions, Sound and Lighting Services / Event Organisers. Longer travel times, early load-in times, finish times after midnight and the necessity for larger sound systems will increase this price accordingly. Please contact us for an accurate quote with as much information as possible. ▸ Do you provide music before/after the event? We normally bring an mp3 player along and play a mix of rock'n'roll through our sound system. If you would like specific tracks played, bring along your own mp3 player and we’ll put it on! Obviously, if you want to be able to request tracks on the night, you will have to hire in a DJ in addition to the band. ▸ Do I need to hire a separate DJ? We will provide background music only. If you would like a DJ for your event, you will need to book this separately. ▸ How long will it take to set up your equipment? In most cases, we will need access to the venue a minimum of 2 hours before the function starts in order to set up and sound check. Yes, we can arrive earlier and set up before your afternoon function but obviously, this will increase our basic price accordingly, dependent on arrival time needed. ▸ What about volume and limiters? How long will it take to set up your equipment? It can be difficult to balance the dynamic required for a good performance against requests for very low volume. Drums have no volume control (other than the drummer,) therefore live drums have difficulty coping with requests for very low volume. In our experience limiters can have a very negative effect on the performance and therefore we tend to not perform in venues with limiters. Please check with your venue before booking. ▸ Can we view before booking? Please check our gigs listed above for opportunities to see the band live. Alternatively, we have several promotional and live videos that will give you a taste of what we do. If you do come to a live performance, please come and say hello! ▸ Should I provide food and drink for the band? Food and drink are always welcome but not necessary. Bottled water for on stage is also appreciated. ▸ Where are the band based? The band members are based mainly around London and Bedfordshire. ▸ How far will the band travel? We have no restriction on distance but please be aware that travel distance will influence the price quoted. ▸ How long do you play for? We play 2 sets of 45 minutes plus encore with, usually, about 30 minutes break between. ▸ Will I need to pay a deposit? We will initially require a non-refundable deposit of 25% to secure the booking. The balance is payable on the night of the performance, if not before. An invoice or receipt can be provided. ▸ How do I pay the remaining balance? The balance is payable by cheque or cash on the night of the performance, if not before. ▸ Do you supply all your own equipment? For an additional cost, we can provide PA, lighting and engineer suitable for your event. ▸ Can we provide our own PA? Yes, however the PA must be suitable for the event and meet our minimum requirements. If providing your own PA you will also need to supply a sound engineer to balance the sound. The engineer will be required for both the sound check and gig. Our requirements can be found on our downloadable tech spec. ▸ Do you have any specific requirements? The band require a level stage with a minimum performance area of 6 x 4 metres and at a height suitable to the event and the room, the stage must have suitable access. We also need a secure dressing room to change and store our possessions whilst performing. Preferably the dressing room will have direct access to the stage. ▸ What type of venues do you play? We have no restriction on the type of venues we will play. ▸ Do you have marketing materials we can use? Yes. If you need to market the event, we will send you our branded posters and leaflets overwritten with your event details. We will also send you our e-marketing material which we request that you use. ▸ What are your cancellation fees? If cancelled between 2-4 weeks prior to the event half of the agreed fee will be required (less the deposit already paid). If cancelled less than 2 weeks before the event we will require full payment on or before the original agreed date. The contract is legally binding. ▸ Do I get a contract? Yes. Once you have chosen to book the band for your event we will send you a copy of our contract for you to sign and return. ▸ I’ve just booked you, what happens next? We will send you a signed contract to complete, sign and return to us with your deposit of 25% to secure the booking. The balance is payable by cheque or cash on the night of the performance, if not before. An invoice or receipt can be provided if necessary. We will contact you closer to the time to discuss exact timings, requirements etc. ▸ My function is in a marquee - what electrical requirements do the band need? For performances taking place in marquees, tents or other structures using “external” mains power, we require a 32Amp Ceeform supply provided by mains power or a regulated generator. This needs to be fed independently of other circuits running heating or cooking equipment etc. We utilise a lot of powerful sound equipment and lighting that require a reliable supply and that use up a lot of power resource. We cannot be held responsible for any power failure should this request not be met. ▸ Can you play requests? We can slightly tailor a set to include your favourites although we do play all the big numbers and more so the chances are we will already be including it. If you want a certain song dedicated, then we can do that. Also, if you’re a blues fan then we can make part of set very bluesy! ▸ It’s my wedding, can you play the first dance?